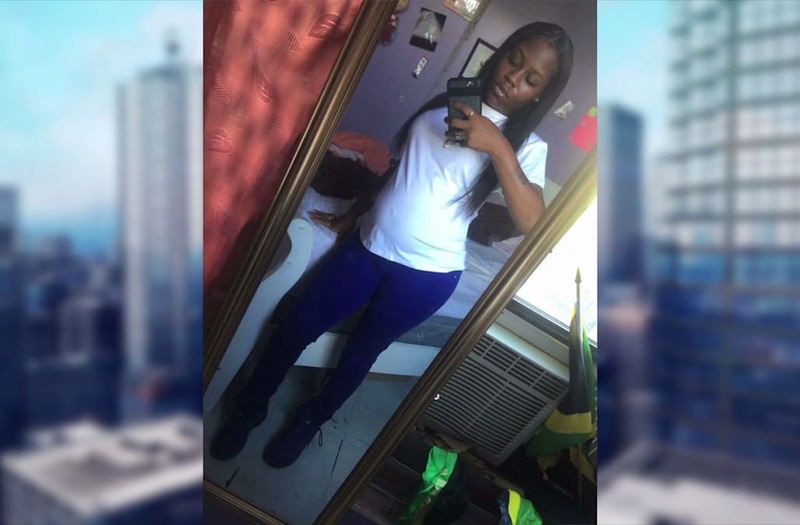 BROWNSVILLE, Brooklyn (WPIX) -- A 7-month pregnant teen was shot in the head in Brooklyn Sunday. Tatiana Sparks, 19, was shot just before 1 p.m. She was standing in front of her Brownsville home at the time. People in the area reported hearing more than one gunshot. EMS was on scene and transported the victim to Brookdale Hospital where she is in critical condition. Police say she's expected to survive. Police say 19-year-old Tatiana Sparks was standing in front of her NYC home Sunday afternoon when she was shot once in the head. It's unclear if Sparks was the intended target. Police say the culprit fled on Howard Avenue. He has a beard and was last seen wearing a black shirt and gray sweatpants.